Bet Kylie Minogue’s arse isn’t quite the R’s you were expecting. Thanks to the UK Sun newspaper for the picture. The arse above belongs to Australian pop singer and actress Kylie Minogue. It has been voted the best arse in Britain. And if you’re a straight guy or a not-so-straight girl, it’s bound to be more fun to look at than a dry book index – even if that book is about the origins of the blues. Pace, Harry: 218-219, 221, 225-226. Pace Phonographic Corporation: 219, 327. Packenham, Sir Edward (Ned): 53, 61, 63. Palomar Ballroom, Los Angeles: 275. Palmer, Robert: 164, 290-291, 335. Papa Charlie and Blind Blake Talk About It: 252. Papa’s Lawdy Lawdy Blues: 251. Paramount Records: 228, 233, 265, 270, 297, 299, 327. Paris, France: 227, 294, 314, 336, 357. 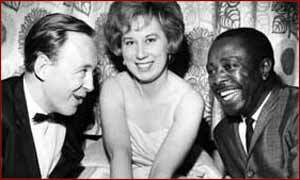 Under-valued British 1950s blues singer Ottilie Paterson with Louis Jordan, right, and Chris Barber, left. Passaic (N.J.) County Historical Society journal: 78. 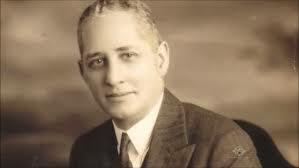 Patton, Charlie: 8, 133, 149, 161-165,199, 252, 267-270, 273, 352. Peace In The Valley: 311. 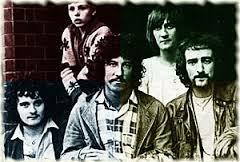 Peter Green’s Fleetwood Mac: 96, 362. Philadelphia: 77, 194, 245, 258-259, 297, 354, 367. Philadelphia National Academy of Music: 245. Picayune Butler is Going Away: 66-67. Pick A Bale Of Cotton: 362. Point Comfort, Chesapeake Bay: 18, 22. Possum (Opossum) Up A Gum Stump/Tree: 35-36, 40, 43, 61, 128. Prelude Op 3 No. 2: 259. Presley, Elvis: 92, 303, 305, 312, 335, 353, 360-361, 363. 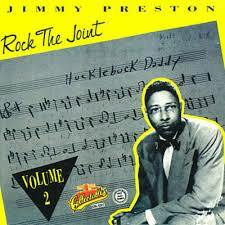 Preston, Jimmy and his Prestorians: 367. Prince, Charles Adams: 199, 201. Queen Victoria: 46, 52, 360. Rabbit Foot Minstrels: 172, 245, 248. 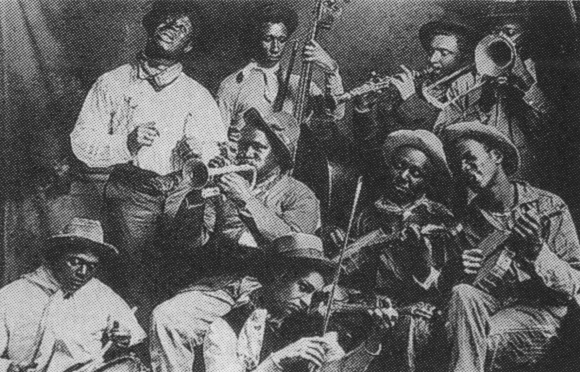 Ragtime: 6, 46, 52, 69, 102, 104, 110-112, 115, 117-123, 127-128, 130-131, 134, 147, 150, 152, 154-156, 165, 167-168, 171-172, 179, 183, 189-191, 193, 198, 201-202, 207, 236, 252, 254, 277, 304, 315, 320, 351, 361. 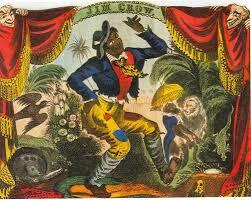 Rain Crow Bill Blues: 248. Rainey, Ma: 172-173, 184, 228, 234, 245, 252, 265-266, 269, 297, 311. Ramblin’ on my Mind (book): 175, 196. Ramblin’ on my Mind (song): 281. 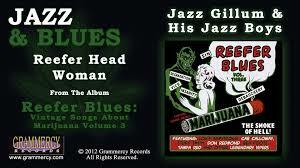 Reefer Head Woman (song): 341. Reliance Brass Band: 116, 153, 160. Resonator: 266, 285-286, 288, 292, 317. 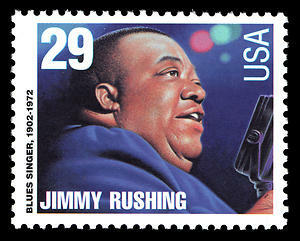 Rhythm and Blues, Rap, and Hip Hop (book): 354. 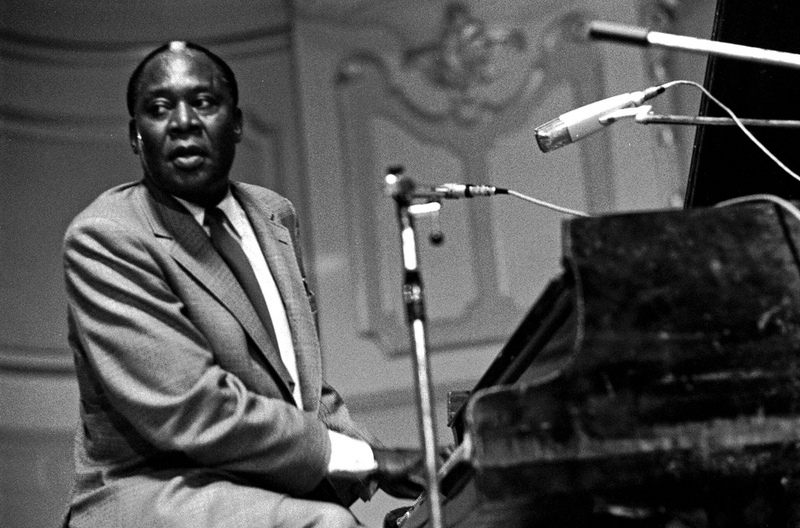 Memphis Slim’s 1946 track Rockin’ The House is my tenth earliest rock ‘n’ roll track. That’s just my opinion of course. Ripley, Robert: 319, 322, 324. Rock & Roll (musical genre): 5, 21, 53, 91, 137, 159, 170, 184, 207, 269, 303-305, 313-314, 319, 336, 343, 348-350, 352-353, 355-357, 359-367. Rock And Roll (song): 357. Rock and Roll Baby: 366. Rock Around The Clock: 363. Rocket 88 Boogie Parts 1 and 2: 363, 366. Rock Island Line: 170, 362. Rockin’ The House: 313, 365. Roll ‘em Pete: 350, 364. Rolling Stones: 27, 158, 165, 207, 263, 265, 282, 303, 308, 333, 352, 362. The first ‘boogie woogie’ record. HOW BLUES EVOLVED Volume Two: now available.